The second album from the UK’s George FitzGerald, his first since relocating to London from his 10 year spell in Berlin, ‘All That Must Be’ has that elusive combination of underground cool with commercial sensibilities, where rich analogue melodies glide high above tension-building dance floor backdrops. focus on creating magical melodies that you’ll want to return to time and time again. It’s the kind of crossover record that many underground producers attempt to pull-off throughout their careers, but few rarely do. On the basis of the 44 glorious minutes of ‘All that Must Be’, it’s fair to say George FitzGerald has now rightfully earned his position as one of the finest UK electronic artists of a generation. ‘Roll Back’ – an epic spine-tingler featuring Lil Silva on vocals. ‘Outgrown’ – for a proper deep melancolic club smasher. 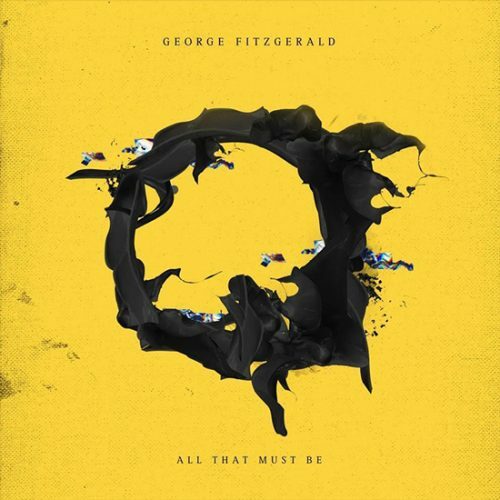 George FitzGerald – All That Must Be is out now on Double Six Records / Domino.